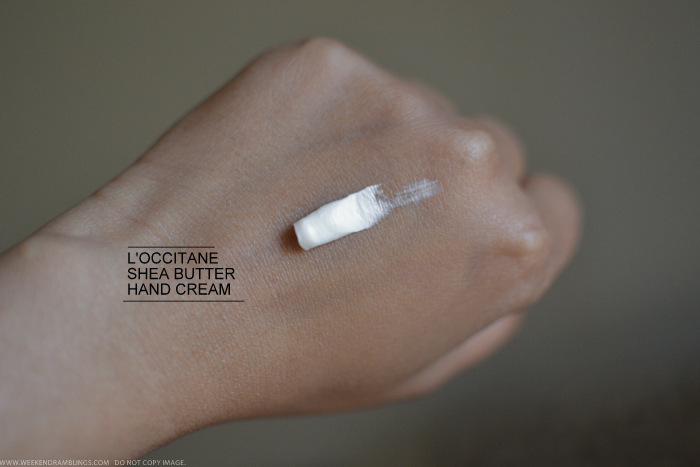 I bought the L'Occitane Shea Butter Hand Cream a long time back - am guessing it was a basket filler I added in to round up the Sephora bill to $50 - and forgot all about it until I discovered it during one of my cleaning sprees. This is a mildly scented cream, and because of the shea butter mixed in to it, this is also quite moisturizing. I was expecting something more greasy, but this is suprisingly fast-absorbing. It's light enough to be used as a day cream yet does a good job of keeping my hands moisturized through the day. Plus, it's available in smaller travel sizes that are perfect for carrying around in the bag. 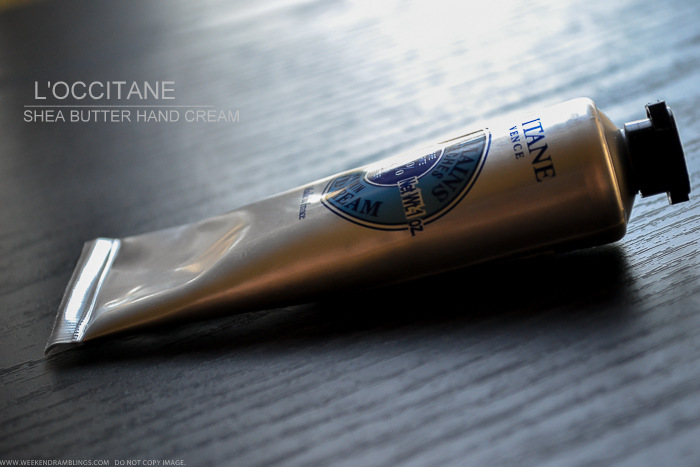 Overall, a nice product to try out if you are new to the L'Occitane skincare range. 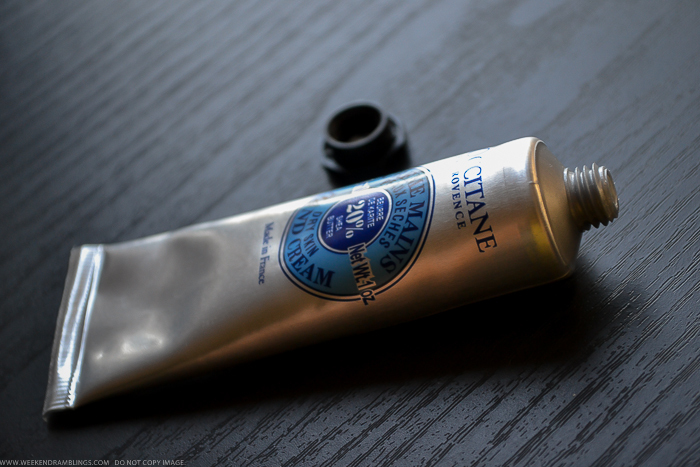 I think the L'Occitane cream is better - more moisturizing than the Rosewater cream from Crabtree. 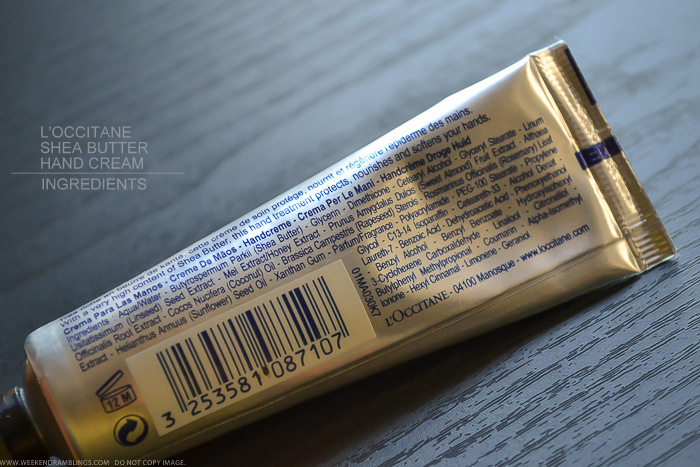 L'Occitane does have a bit of a cold cream smell, so check if the smell is okay for you before buying though..it's not unpleasant or bad..I actually don't mind it at all, but some people find those kind of scents old-fashioned, I think.